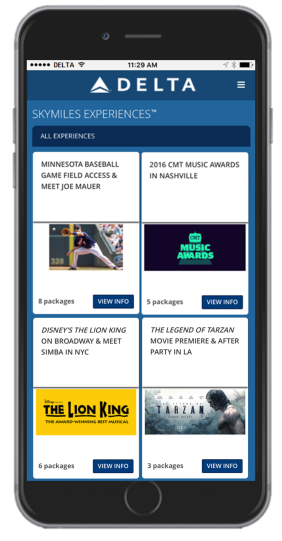 Delta SkyMiles Experiences is landing members behind-the-scenes access to red carpet award shows and movie premieres, exclusive restaurants with celebrity chef kitchen tours, sold out concerts with backstage passes and sporting events with on-field player meet and greets. SkyMiles Experiences is a part of the multifaceted SkyMiles program that rewards loyalty at every level – from miles that never expire and no award blackout dates to Choice Benefits that include gifting Medallion status, Delta Sky Club access or Global Upgrade Certificates – continually finding more ways to reward its members. Since the start of the program several years ago, thousands of SkyMiles members have attended once-in-a-lifetime experiences by bidding their miles. -Showcases past winner testimonials, photos and recently closed auctions. These auction experiences are just one of many rewards and redemption options offered to SkyMiles members. “Being there live at the People’s Choice Awards was amazing! 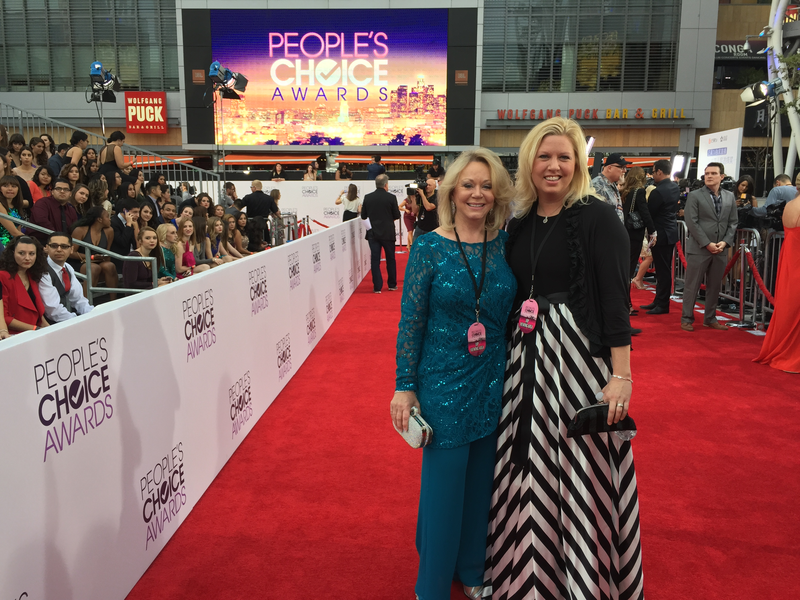 I used my miles to buy the experience as a birthday gift for my good friend and we had the best time on the red carpet watching celebrity arrivals and at the awards show," said SkyMiles Experiences winner Anne Reed. "Ever since that night, I tell everyone…money can’t buy happiness, but SkyMiles Experiences can!" To participate in SkyMiles Experiences, a customer must be a Delta SkyMiles member, age 18 years or older, and reside in the United States or the District of Columbia. 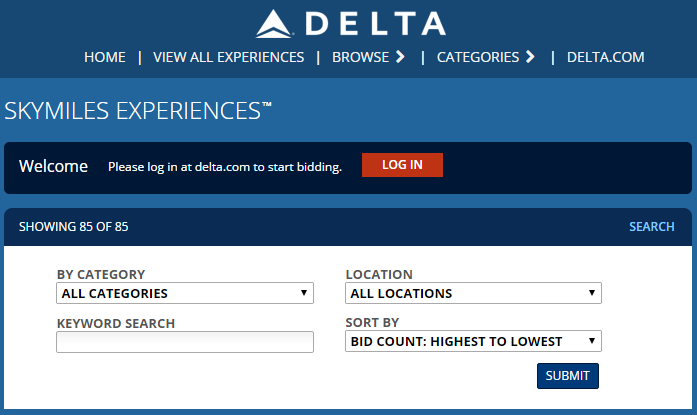 To bid, go to SkyMiles Experiences.com and log in. FIMI Group LLC is the SkyMiles Experiences agency of record.